Course Duration: Master of Pharmacy [M.Pharm] is 2 Years. Master of Pharmacy offers various specializations with which one can choose his most preferred field. Master of Pharmacy provides better exposure to practical skills. M.Pharm also enables a candidate to go for higher studies abroad. It also enables one to study Ph.D. (Pharmacy) in Pharmaceutics, Pharmaceutical Chemistry, Pharmacology, Pharmaceutical Marketing & Management. 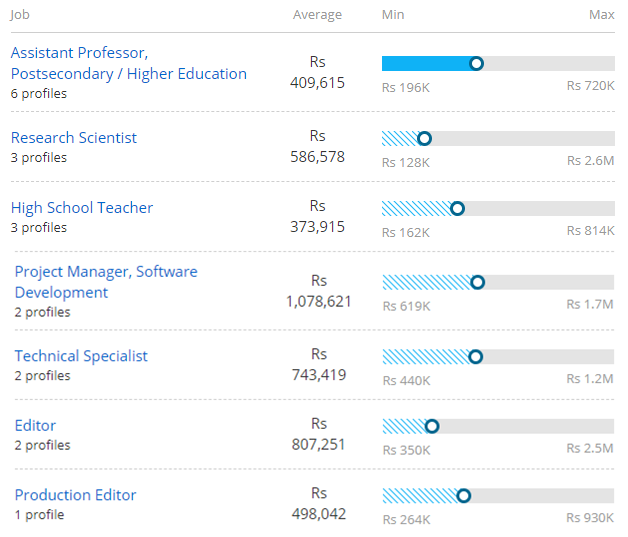 The average salary for a Pharmacist is Rs 201,945 per year. It may range between Rs 1,50,000- Rs 5,00,000 per annum. In the profession of the same, competitiveness in the educational background is one of the implicit factors for the salary provisions.